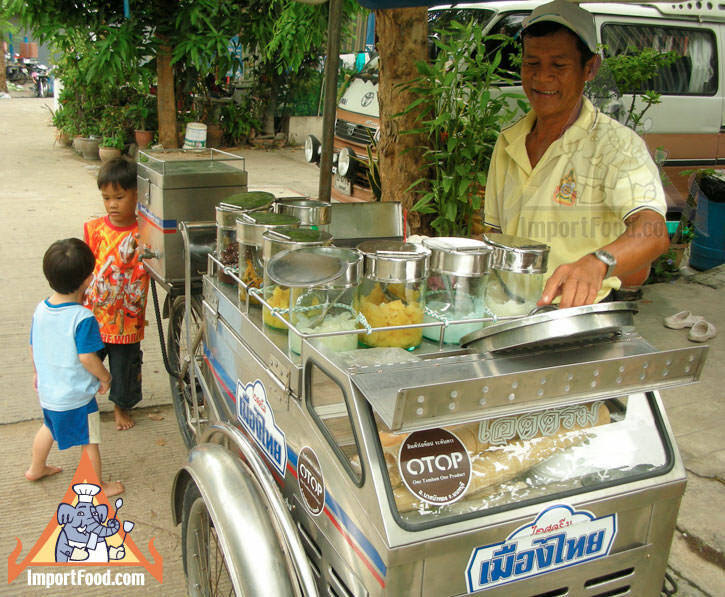 Ice cream is big business in Thailand, with a myriad of vendors offering such things as ice cream served on white bread, or pre-packaged Walls brand treats from motorized carts. We love the vendor in this series of photos because his product is not only cold and tasty, but also he offers a wide variety of candied fruit which is added to each bowl. 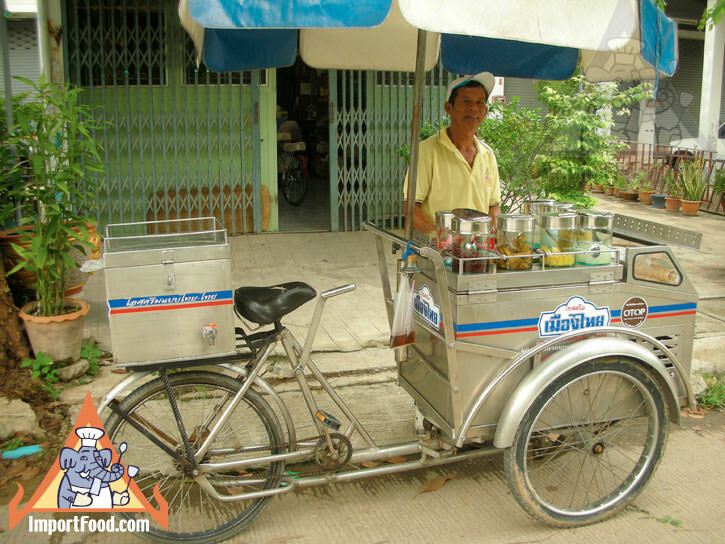 Furthermore, his pedal-powered cart is another brilliant example of Thai ingenuity & efficiency. In the middle of his cart is a large covered tub of ice cream, kept cool with dry ice during the day but there is also an electrical plug to keep the freezer cold overnight. On the top of the cart there are 7 clear glass containers displayed, each with candied fruit. Note the custom lids and hand-riveted hinges which allow quick and easy access. 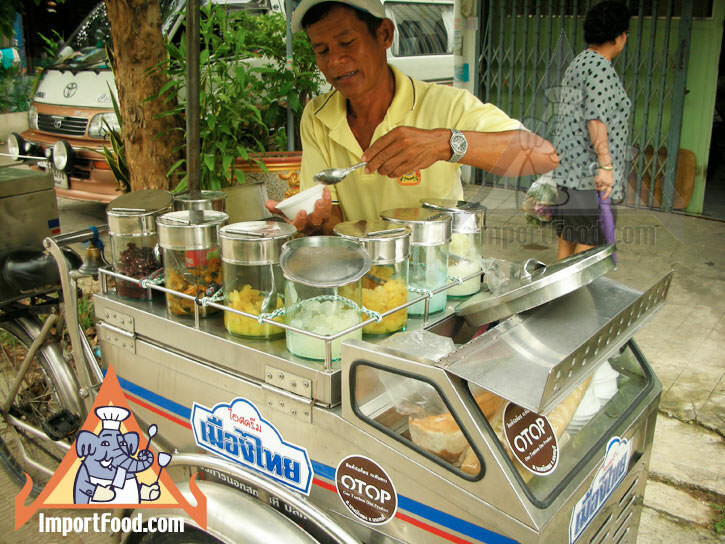 This gentleman offers (from left) sweetened red bean, candied pumpkin, candied yam, candied toddy palm, candied pineapple, candied coconut jelly, and sticky rice. 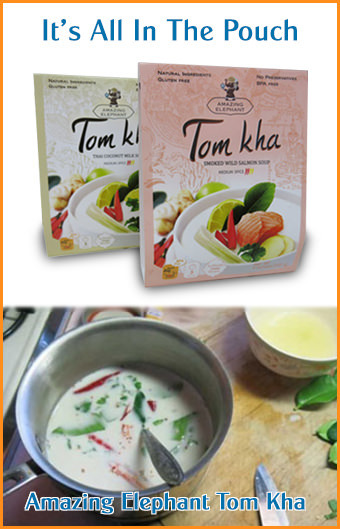 In Thai language "chuam" (pronounced chew-um) means candied, and it is simply a fruit or vegetable cooked in sugar water at low heat until thickened.